Dublin, Ireland, May 6th 2011: Is new media transforming traditional television viewing habits? While the death of the TV set is not imminent, it appears that change is afoot. When asked if they believed that the range of programmes they’re currently getting from the free-to-air TV stations (RTE, TV3 and TG4) justifies this €160 fee, a sizeable amount of people said no: 83 per cent of those surveyed did not think that the current TV licence represented value for money. People in Ireland have fallen in love with smartphones with one third (34 per cent) of the 1,000 people surveyed owning them. And notwithstanding all the hype surrounding the recent launch of the iPad2, just 3 per cent said that they owned an iPad or tablet PC and of these, 72 per cent said that they used it for web access primarily with only 9 per cent using them to watch television. As to whether they are using social media to complement their TV viewing, 29 per cent of respondents have used Facebook or Twitter to comment on a TV programme while watching it. – Watching YouTube videos is the preferred activity on PCs, smartphones and tablets with 65 per cent citing it their most common activity. Movie/ TV downloads (44 per cent) and live TV watching (27 per cent) are ranked next. – 87% of 18-24 year olds use their non-TV devices to watch YouTube videos while 63% of the cohort watch movie/TV downloads. – When questioned as to whether they thought they would still own a television in ten years’ time, 75 per cent believed that they would. – Popular iPad activities include emailing (74 per cent) and social networking (52 per cent), listening to music (44 per cent), playing games (35 per cent), app surfing (31 per cent), researching products and services (23 per cent) and shopping (22 per cent). Editors Note: The survey was conducted by Market Research Company iReach in April 2011 using the iReach Consumer Decisions Research Panel which delivered 1,000 responses from adults in Ireland aged 18+ to 65+and is nationally representative by age, region, gender and social class. 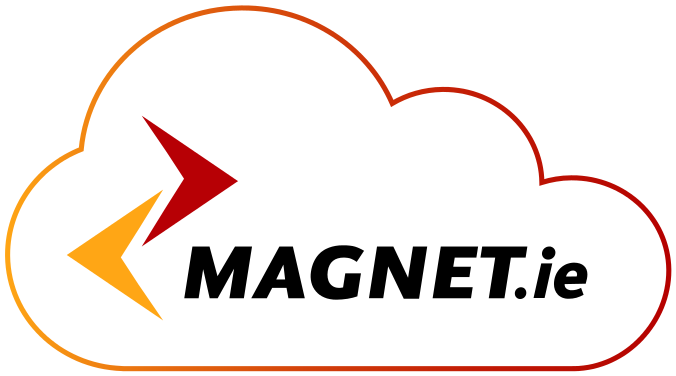 Magnet Networks, the parent company for Magnet Entertainment and Magnet Business, has provided voice, internet and video services to the Irish marketplace since 2005. They are behind the new free web TV service www.magnetwebtv.ie . The company has pioneered super-fast broadband in Ireland offering speeds of up to 50Mbps and owns the largest fibre network in Ireland and the UK. For more information visit www.magnet.ie.